Thank you for giving the Battlefields Trust the opportunity to comment on this revised application. The area in question lies to the east of the English Heritage registered site of the 1645 Battle of Langport, a nationally important action during the final Parliamentarian advance through the West Country at the end of the first Civil War. Evidence of the importance of Langport can be seen in the fact that it is one of only 45 English battlefields to be registered by English Heritage and one of only two in the county of Somerset. While the proposed site lies just outside the battlefield, as currently registered, it was an area which undoubtedly played an important part in the battle, being on the route of the parliamentarian advance and offering a good view of the royalist positions on the opposite slopes both then and today. It is highly likely that it will contain important archaeological evidence relating to the battle (including musket shot and cannonballs) which may help confirm troop positions or, as has happened at other battlefields such as Naseby, lead to a re-interpretation of the action. In addition it is our opinion that construction on this particular site, even in its revised form, on high ground immediately behind the place where the Parliamentarians are believed to have deployed, would have a major impact upon the character of the historic landscape and the essentially agricultural setting of the battle. We believe that would result in substantial harm to the setting of the registered battlefield, its archaeology, and have a detrimental impact on landscape character contrary to local plan policies EH9, EH12, EC3 and ST6 of the South Somerset Local Plan and policies within the National Planning Policy Framework. 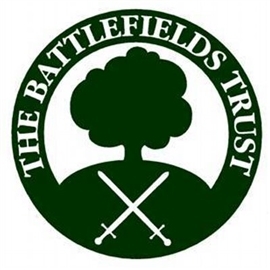 The Battlefields Trust is keen to help make the most of the battlefield’s undoubted educational and recreational potential, as it has done at similar sites throughout the country. We believe that there is a genuine opportunity to raise the profile of this important and, as things stand, attractive battlefield and in doing so create financial benefits for local businesses through the visitors it would undoubtedly attract. The Battlefields Trust has raised over £4,000 specifically for this purpose and is working in partnership with the Langport & District History Society both to stage a regular series of walks and talks (three have already been confirmed for next year) and to create a waymarked Battle of Langport Trail, with supporting information in the form of information boards either along the route, or located elsewhere. The Trust is currently negotiating visitor access to fields adjacent to the proposed site and local residents have suggested that Downslade Lane, a hedged path running along the eastern boundary of the area, might well form part of a future battlefield trail. Clearly the proposed development would change the rural character of the setting into an industrial one. As such it would have a negative effect upon the value of the site as an educational and recreational resource. As I have stated before I believe that this was the reason used by the Planning Inspectorate in 1998 in rejecting a proposal for landfilling in an area to the south of the site now in question. For these reasons the Battlefields Trust opposes the proposal to erect a solar array on the land in question.